Philip Ludwell III is the first known convert to Eastern Orthodox Christianity in the Americas. He was a prominent figure in pre-revolutionary Virginia and a relative by blood or marriage of many great early figures in American history from George Washington to Richard Henry Lee of the great Lee family of Virginia. The scion of one of the largest landholding and politically prominent families in early Virginia, he was born at Green Spring near Williamsburg on December 28, 1716, making him a contemporary of Benjamin Franklin, with whom he shared a friendship. In 1738, during the incumbency of the late Hieromonk Bartholomew Cassano at this holy Church, an English gentleman named Ludwell, born in the American lands and living there in the province of Virginia, came to London seeking the True Faith, which he, with God’s help, has swiftly found in the Holy Graeco-Russian Church. And so on the 31st of December of the same year he was confirmed in the same with the holy Chrism. The papers of the Lee family state that, upon Ludwell’s return to Virginia, he brought with him a protégé named John Wayles, who would later make his mark on history as the father of both Martha Wayles, wife of Thomas Jefferson, and Sally Hemings of Monticello. In 1740 Ludwell returned to Virginia. From 1742 to 1749 he was a member of the Virginia House of Burgesses where he argued for higher taxes on the importation of African slaves and headed a committee to seek a cure for cancer. In 1752 he became a member of the Royal Governor’s Council and served in this capacity until his death in 1767. As a member of the Council he was instrumental in obtaining a commission for a young George Washington as Colonel (commanding officer) of the Virginia Regiment in 1755. By 1751 he had three daughters: Hannah, Frances, and Lucy. In 1753 his wife Frances died. In 1760 he moved with his daughters to London where they were received into the Orthodox Church on Holy Wednesday, 1762. In the same year, with the blessing of the Holy Synod of the Orthodox Church of Russia, Ludwell’s translation of Mogila’s catechism was published in a cloth edition. The Russian Synod also authorized Fr Stephen Ivanovsky in London to give the Ludwell family the consecrated elements of bread and wine to take back to Virginia and to prepare for them appropriate forms of Orthodox prayer for use in their native land. One extant copy of what may be this ordo has been found in bound, but handwritten, form. It includes Ludwell’s translations of the three principal Orthodox liturgies, morning and evening prayers, the service of confession and other texts. Philip Ludwell died in London on March 14, 1767 after a long illness. His funeral rites were served at the Orthodox Church there and he was buried at the Anglican church of St Mary Stratford Bow where there was a family vault. Over two hundred years later his life and inspiring story of faith is becoming known and reshaping our view of early America. 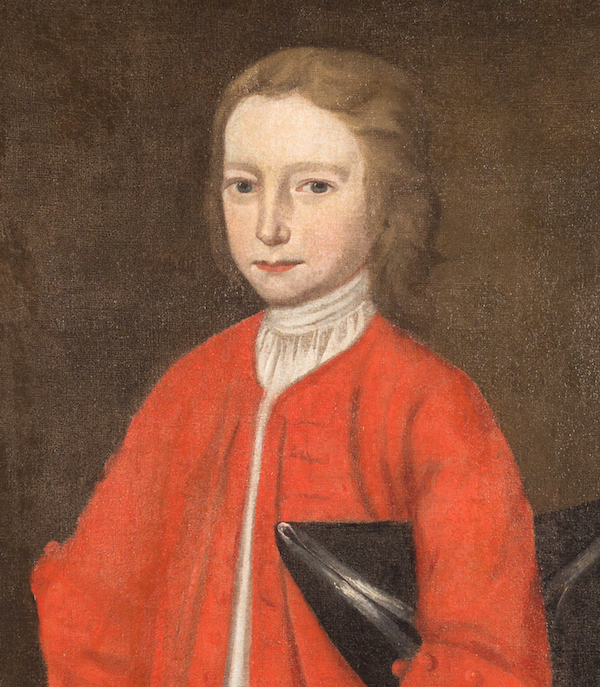 This painting of a young Philip Ludwell III is the only known portrait of the man. It is exhibited at Stratford Hall Plantation, the historic home of the Lee Family of Virginia. Located in the Northern Neck of Virginia, Stratford Hall was built in 1737-38 by Thomas Lee, a founder of the Ohio Company, and named after his grandfather’s home in London. Thomas Lee married Hannah, the sister of Philip Ludwell III. Among their six sons, two signed the Declaration of Independence and two served as the United States’ first European-based diplomats. Philip Ludwell III died in 1767 in London and was buried in the Ludwell family vault of the church of St. Mary-le-Bow, in the Stratford area of London where the River Lea (Lee) meets the Thames. His daughter Hannah Philippa Ludwell Lee was also interred in this plot in 1784, just prior to her intended return to the fledgling United States.